Certificate attestation is a mandatory procedure for getting the visa approval. Anyone who is planning to go to abroad for employment, startups or higher studies has to submit documents to the authorities for verification. Without proper certificate attestation, the country can reject your visa application as well as work permit. 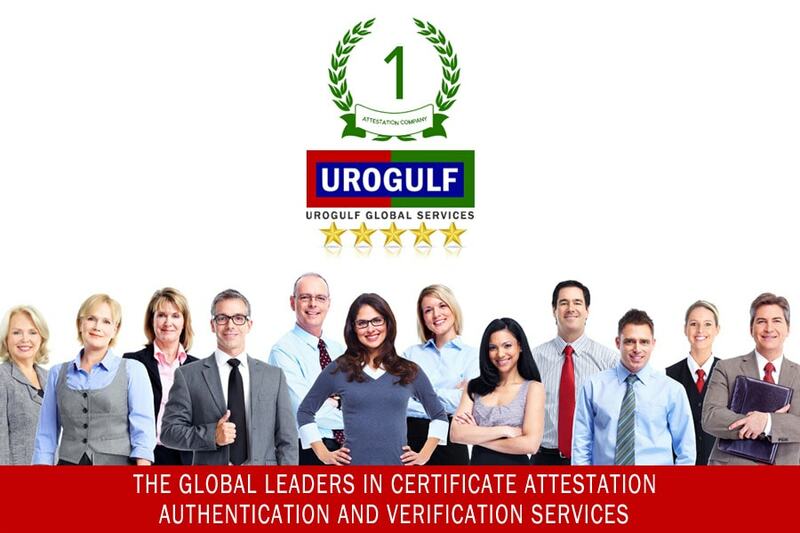 Urogulf provides a wide array of attestation services to its customers across the globe. 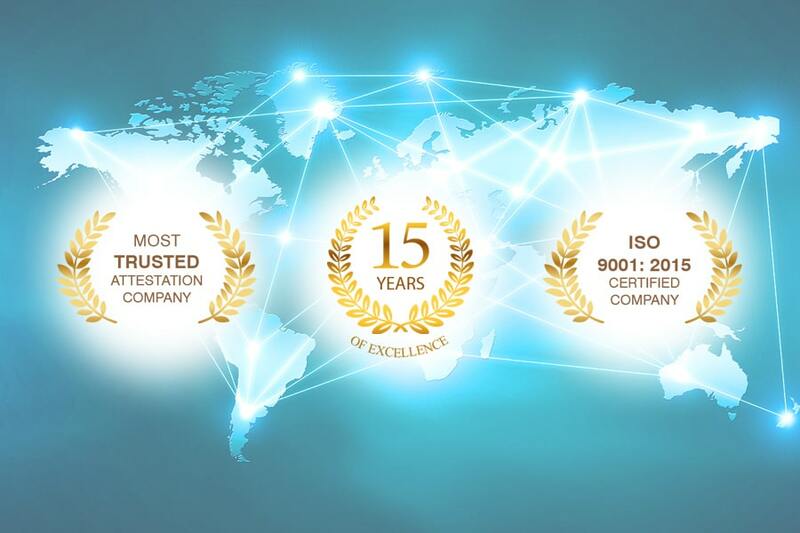 Urogulf Global Services is an ISO certified attestation company approved by Ministries and embassies in India and abroad. We are the largest attestation company in the world with more than one hundred offices across India and abroad. certificate attestation, authentication and verification services. Al Khuwair,Muscat, Sultanate Of Oman. Above Joy Alukkas, Mecca Street Fahaheel, Kuwait. Urogulf, 2nd Floor, Nanjappa Reddy Layout, 14/595, Opp: Passport Office, 8th Block, Koramangala, Bangalore. Urogulf, Ugf- 6, New Janpat Complex, Ashok Marg, Opp: Income Tax Office, Hazratganj, Lucknow – 226001, Uttar Pradesh, India. Urogulf, 2nd Floor, Building Number:28, School Lane, Opp Lalit Hotel, Near Bharakhambha Road, New Delhi- 110001. Urogulf, # 222, Nsc Bose Road, 1st Floor, Empire Plaza, Broadway, Chennai - 600001, Tamil Nadu, India. Urogulf, 1st Floor, Door No. 1111, Opp: Old Passport Office, Near Thandumariamman Koil, Avinasi Road, Uppilipalayam, Coimbatore – 641 018, Tamil Nadu, India. Urogulf, Lloyds Chambers,Block 1,Office No.7,First Floor, 409,Mangalwar Peth,Opp.Ambedkar Bhavan ,Near Coconut Grove Hotel, Malldhakka Chowk, Pune-411011. Urogulf, Mahesh Chamber's, W-8, Park Street, M I Road (Opp. Pink City Petrol Pump, Near Khasa Kothi, Opp. Gamca Medical Centre), Jaipur- 302 001. Urogulf, Second Floor, Shreejee Tower, C.P. Ummer Road, Pullepady, Kochi - Ernakulam – 682035, Kerala, India. Urogulf, Alfa Heights, Opp: Uae Consulate, Manacaud Junction, Trivandrum- 695009, Kerala, India. Urogulf, Karunya Building, Near Norka Root ,Govt.Model School, Tc 24/500-1, Residency Road, Thycaud,Trivandrum-14. Hiring a good certificate attestation service provide that meets your requirement is a hectic task. You may be wondering as to how to recognize a certificate attestation service provider from fake ones? Here are some of the qualities of certificate attestation service provider that you need to look out for. Hassle- Free Service – A good certificate attestation service provider offers quick and hassle-free service to the customer. The dedicated team of professionals will always help and assist the customers in providing secure and high-quality services under any circumstances. High-Quality Service - Providing high-quality service to the customers is an important motto for any business. A good certificate attestation provider has to provide quick, hassle-free and reliable service to the customers without compromising the quality. Experts and Knowledgeable Employees - The most important strength of a good certificate attestation provider is its dedicated team of professionals. Such professionals will have in depth knowledge in certificate attestation. Proven Track Record - A proven track record of success is an important criteria to look for in a good certificate attestation provider. A good certificate attestation provider should have a proven track record of positive feedback from customer, reliability and quality services. Excellent Customer Support - Excellent customer support is a mandatory requirement for providing a matchless service to the customers. A good certificate attestation provider has to provide peace of mind to the customers. Tracking and Safety of Documents - A trusted certificate attestation service provider will help you to track your documents from anywhere. They will also ensure the safety of the documents provided by you for attestation purpose.